The Clinical Trials Office at Winship Cancer Institute advances progress in cancer care through the support of quality, high-impact clinical research. The Clinical Trials Office at Winship (CTO) facilitates the conduct of high-quality clinical research involving cancer patients by providing a central comprehensive management service. Staffed by highly-trained professional research personnel specializing in areas of clinical coordination, data management, specimen processing and regulatory management, the CTO provides a supportive environment to conduct clinical trials in a cost-effective and efficient manner while ensuring compliance with Winship clinical trials standard operating procedures, Good Clinical Practice (GCP), Emory University Institutional Review Board (IRB), US Food and Drug Administration (FDA), other regulatory agencies and external sponsors. Led by an executive team consisting of Bassel El-Rayes, MD, Associate Director for Clinical Research, and Kathleen Rodger, BSN, MSHCM, CCRP, Director of Clinical Trials Office, the long-term goal of the CTO is to advance progress in cancer care through the support of high-quality, high-impact clinical research by Winship Cancer Institute members. The focus of the CTO is to help develop and support institutional clinical research studies, particularly phase I and institutional studies. In 2009, the Phase I Clinical Trials Unit opened and is dedicated to advancing cancer research through a singular focus on caring for patients enrolled in phase I clinical trials. The CTO supports clinical research at other Emory University Hospital sites, including Emory University Hospital Midtown and Emory Saint Joseph's Hospital. Additionally, support is provided at other area facilities where Emory investigators conduct clinical trials, including Atlanta VA Medical Center and Grady Memorial Hospital. Investigators represent the Emory University School of Medicine Departments of Hematology & Medical Oncology, Medicine, Pediatrics, Surgery, Radiation Oncology, Urology, and Pathology; the Departments of Behavioral Science & Health Education in the School of Nursing; and the Departments of Epidemiology and Biostatistics in the School of Public Health. The CTO has supported clinical research from Emory University that has led to numerous publications since 2002. To provide infrastructure support for the development and implementation of human clinical research protocols relevant to cancer. To provide the disease management teams with administrative support to facilitate subject screening, consent, registration, study-specific tests and treatments, response and toxicity assessment, and data entry. To provide disease management teams with regulatory support to ensure compliance with GCP, IRB, FDA and other regulatory agencies. To monitor overall accrual of subjects on therapeutic and non-therapeutic cancer-related clinical trials and provide support for the Cancer Institute Director and leaders of the Scientific Programs in monitoring accrual to specific protocols. To support the Clinical and Translational Review Committee in executing the functions of the Protocol Review and Monitoring System. To support the Monitoring Committee in executing the Data and Safety Monitoring Plan. To provide education and training for staff and faculty involved in clinical research. To disseminate information on active clinical trials involving cancer patients to the Emory community and patients and referring physicians in Georgia and bordering states. serve as a liaison with the Office of Sponsored Projects that negotiates contracts with external sponsors of clinical trials at Emory. The CTO has developed policies and procedures to facilitate centralized management of cancer clinical studies across all departments in which subjects may be enrolled on cancer clinical trials. The CTO provides disease management teams with regulatory support to ensure compliance with GCP, the IRB, FDA and other regulatory agencies. The CTO staff monitors study procedures to ensure regulatory compliance and provides regular instruction to new and current staff in these areas. Training of clinical research staff across all of Winship is assisted and supervised by the Director and his/her leadership staff. The creation of these teams has stimulated greater interaction, communication and teamwork among the faculty and research staff facilitating clinical trials. Additionally, this structure has increased efficiency and streamlined processes. Ms. Rodger is responsible for the overall supervision and administration of the Clinical Trials Office at Winship Cancer Institute. Ms. Bourbo is responsible for supervision of the research staff coordinating the clinical trials at Winship Cancer Institute's affiliated sites. 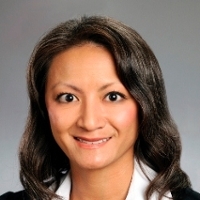 Ms. Nguyen is responsible for all regulatory and compliance aspects of the Clinical Trials Office at Winship Cancer Institute and its affiliated sites. Ms. Sharp is responsible for supervision of the research staff coordinating the clinical trials at Winship Cancer Institute (Clifton campus). 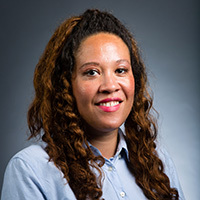 Ms. Thomas is responsible for the oversight of clinical research activities at Emory University Hospital Midtown, Grady Memorial Hospital, Atlanta VA Medical Center and Emory Proton Therapy Center. Ms. Cox is responsible for protocol registration and monitoring system aspects of the Clinical Trials Office at Winship Cancer Institute and its affiliated sites. Michal Hananel is responsible for leading internal monitoring of investigator initiated studies as well as cooperative and institutional studies conducted at Winship Cancer Institute and its affiliated sites. Ms. Kurilo performs quality assurance and quality control activities for the Clinical Trials Office at Winship Cancer Institute and its affiliated sites.